On Friday, White House chief-of-staff John Kelly went off the record with a group of reporters. Kelly's comments were leaked. 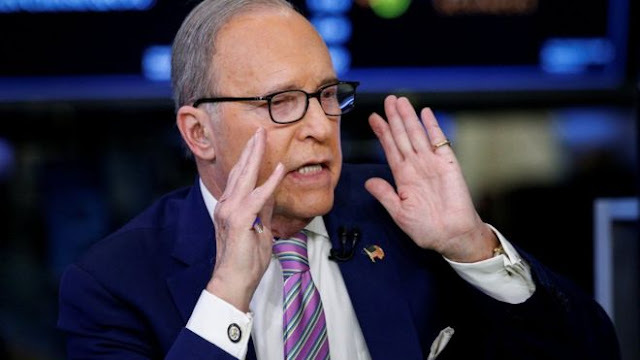 Among his comments, he told reporters why Larry Kudlow's past heavy cocaine use was not a problem as far as Kudlow getting the top economic position in the administration. The idea is that since it is public, no one can be in a position to blackmail Kudlow. And if it wasn't general knowledge before, it is now after a recent Brad DeLong post. Kudlow reports he has been off the white powder for 26 years. But, Larry still needs to be careful, power is addicting. It will make you say and do things that even a street junkie wouldn't attempt.